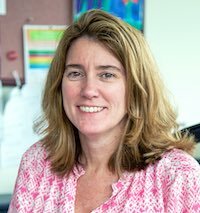 Tracy Waldeck, Ph.D. joined NIDA in April 2018 as the Director of the Office of Extramural Policy and Review (OPER), which oversees NIDA’s peer review branch. Prior to coming to NIDA, Dr. Waldeck served as the Deputy Director of the Association for Psychological Science, where she was responsible for the effective and efficient functioning of the Association’s day-to-day administrative and program operations. In this role, she applied her scientific expertise to the organization’s mission, advocated for science funding, and engaged in public outreach aimed at sharing an understanding of psychological science with the public. Before that, Dr. Waldeck served as the Deputy Director of the Division of Extramural Activities (DEA) as the National Institute of Mental Health (NIMH). At NIDA she also serves as coordinator of the activities of the National Advisory Council on Drug Abuse. Dr. Waldeck graduated from American University and received her Ph.D. in Clinical Psychology from the University of Georgia. She completed a post-doctoral fellowship at Johns Hopkins University, School of Medicine. Administer the Institute's committee management function under the Federal Advisory Committee Act.